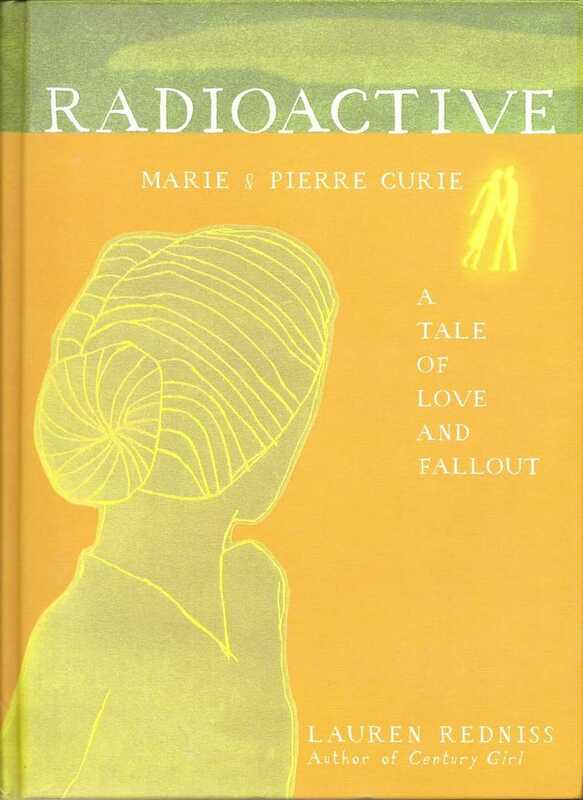 Radioactive: A Tale of Love and Fallout is a gorgeous graphic novel about the surprising life of Marie Curie. After the jump, some of Lauren Redniss's beautiful drawings — and fun facts about the famous physicist. After Pierre and Marie Curie married, in 1895, "they took their honeymoon on bicycles, riding along the coast of Brittany and into the French countryside, her handlebars festooned with flowers." Later, they continued their research together — Marie Curie coined the term "radioactivity," and both were fascinated with their newly discovered, glow-in-the-dark element, radium. Pierre experimented with it on himself, tying some to his arm. His daughter wrote, "To his joy, a lesion appeared." Pierre Curie was run over by a horse-drawn carriage in 1906. After his death, Marie Curie took over his job at the Sorbonne, becoming the university's first female professor. In 1910, she began an affair with Pierre's former student, Paul Langevin. He was married, and the Nobel Prize committee almost prevented her from attending the ceremony to accept her second prize. She wrote to them, "there is no connection between my scientific work and the facts of private life" — and ended up attending the ceremony after all. Marie Curie died in 1934 of anemia brought on by radiation exposure, but the influence of her work on radioactivity lived on. Radioactive includes a first-person account of the bombing of Hiroshima by survivor Sadae Kasaoka, the story of a woman who believes a visit to a radon-rich mine has helped control her hepatitis, and photographs of mutant flowers found near the site of the Three Mile Island nuclear meltdown. Redniss also adds a "Radioactive Bestiary and Garden" which includes the information that Brazil nuts are the "world's most naturally radioactive food."